How to Make a Dandruff Shampoo with Essential Oils! Cold weather, hard water, keeping sock hats on your head in the winter and stress can cause dandruff. For years, I have formulated different kinds of Organic shampoos with essential oils as a product researcher, developer and Registered Aromatherapist. In a large bowl, mix Organic Shampoo, Jojoba, Vitamin E together ; then add essential oils into the mixture. Mix thoroughly. Wash hair twice. Rinse well. Air Dry hair. Also remember that during the winter we are more confined and sometimes it is more stressful because we can’t get out and about as we would other times of the year. I always take more B vitamins especially B12 to help me through the winter. 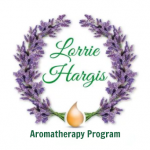 This entry was posted in Cajeput, Dandruff Shampoo, Eucalyptus Radiata Essential Oil, German Chamomile, Shampoo and tagged Cajeput essential oil, Dandruff, Eucalyptus essential oil, German Chamomile Shampoo, Shampoo on March 1, 2016 by Lorrie Hargis.